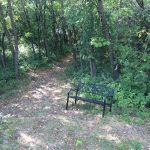 Ask fellow campers about "Minot / Swenson RV KOA" and nearby attractions. This was one of those events that could have been a disaster but turned out well. They had a hydrant break and the site we had reserved was part of a large ice rink. The owner stayed late to meet us and see us safely settled in another campsite. I like the KOA. The dog park was big enough for my dog to play. The showers were hit and the place was spotless. Not many places open year round in North Dakota. The nature trail was nice. We had deer and rabbits come right up to our trailer. We camped at Minot / Swenson RV KOA in a Travel Trailer. This place is right off the highway and it had some rigs up front for sale, which buffers the noise from the sites. They are a new KOA and it shows! They are updating many things and the amenities look great! The sites are nice. The electric posts are lit, the water is heated and they are open year round. The restroom / showers were new and clean, the laundry room is open 24/7 and they have plenty of machines. The wifi works, but not great. The friendly staff is the icing on the cake. I don't only recommend this campground, I will go out of my way to stay here again! 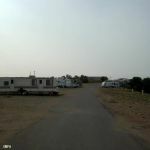 We camped at Minot / Swenson RV KOA in a Travel Trailer. We couldn't believe this was still a KOA facility. This is nothing more than a dirt parking lot, with some electric, water, and sewer connections. The campground is apparently part of an RV/Marine dealership and surrounded by new & used rvs and boats. Most of the folks staying here seemed to be oil rig workers or harvest contractors, so there were plenty of large trucks and equipment in the sites as well as older rigs that looked well used. We were assigned a site next to one of the older rigs, even though most of the sites in the campground were vacant. Our coach unnecessarily blocked our neighbors tripod mounted sat dish, which I know endeared us to him. If you are looking for a one night place to stop, a Walmart might be a better choice. We camped at Minot / Swenson RV KOA in a Motorhome. As a one night stopover, this campground is okay. 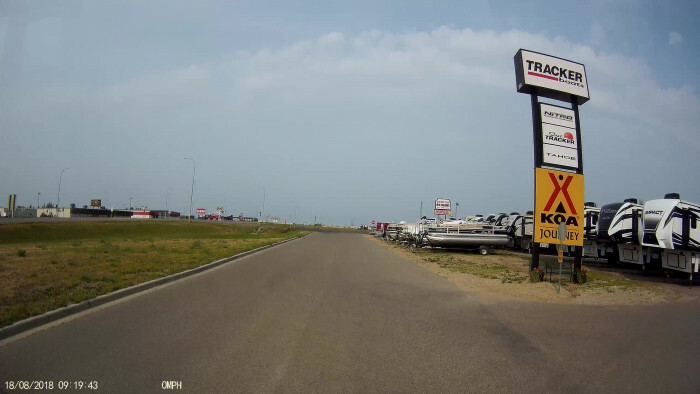 The location is close to shopping, and a couple of RV dealers. Just across the street is a Blue Beacon and a Cummins facility. Staff were friendly and accommodating. Truly OK for an over night stop only. Our site was not near enough to office/showers/laundry, you would have to drive to use those facilities. View in every direction were of stored boats and Rv's. Interior roads black top, but sites were of rough gravel with not one blade of grass anywhere nor landscaping of any kind. If you like weeds this is your place. No usable WiFi. Hookups were excellent, good water pressure. Not deserving of a KOA status! We camped at Minot / Swenson RV KOA in a Motorhome. Airport is close, good restaurants in town. We were traveling south and got held up due to very bad road conditions with ice and blowing snow. We found ourselves over 200 miles from our planned stop and it was late and we were exhausted. Minot ND is not a place you would expect to find a campground open year round but Swenson's is. This is because it has some permanent residents. We arrived after they were closed and the campground host telephone number was not answered. If we had looked more carefully we would have seen the sign for the campground host near the entrance. We had a nice site with electric hook up. We did not hook up to water or sewer and we could not get into the bathrooms because the were coded and we did not have the code. In the morning we walked around and the campground was neat, clean and well organized. We left before the office opened but contacted them by email to arrange payment. They were friendly and accommodating about payment. They said they normally charge $40/night but charged us $30 since we did not use services beyond electric and we were honest about contacting them. They said next time call ahead or email and they will make sure everything is plowed out and we have the bathroom code. I was pleasantly surprised by the entire stay and the nice friendly contact via email. We will stay again. 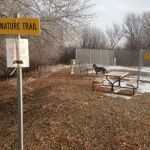 We camped at Minot / Swenson RV KOA in a Travel Trailer. In winter call or email ahead as no one is around after 6:00pm. The campground host site is near the entrance/exit to the campground. We called ahead to make a 50 amp pull-through site reservation and the lady who answered said just be here by 6 and there will be room. We got there a few minutes before 6 and the check in person was driving off and stopped and hollered out his car window to check in with the camp-host. The camp host as it developed had limited knowledge of 50 amp and 30 amp power or pull through vs back in, plus an attitude. It was a very unpleasant experience just getting a site. The pull through that we finally located was long enough and I did not have to unhook my tow vehicle. The sites are level but the park really needs some TLC. We camped at Minot / Swenson RV KOA in a Motorhome. We visited Minot, ND very late in the season, and as such, limited options existed (many places had already shut off their water supplies) with full hook ups. 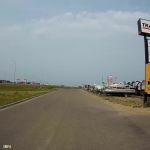 Although this "No frills" location provided a clean, safe and "easy access to highways" campground, keep in mind that "no frills" means just that. We were the only 'transients' in the entire place. Everyone else had their rigs set up to survive the cold harsh North Dakota winters. However, the long term residents were friendly, helpful and happy to see a few new faces visiting their 'neighborhood.' Clean Showers, Helpful, Professional and Friendly staff combined with adequate WiFi rounded out the positives. Again, this isn't a 'Resort' by any stretch of the imagination, but it suited our purposes for a week - especially since we arrived so late in the season. The place remains open year round with an electrically heated water supply. In a pinch, we'd stay here again. We camped at Minot / Swenson RV KOA in a Motorhome. This is a huge park that is mostly vacant now due to the downswing in the oil fields. Gravel sites just outside of downtown Minot. No ambience, not a resort but a clean, safe place to stop for a couple of nights. We camped at Minot / Swenson RV KOA in a Motorhome. Perfect place for an overnighter. Full service with 50 amp. Water pressure is excellent. Very easy for big rigs to maneuver. Not a resort by any means but it is the best place to stay while in town. Camp host takes care of you. Definitely will stay here any time we pass though Minot. We camped at Minot / Swenson RV KOA in a Motorhome. We had planned on staying 3 nights until we saw this place. It looked more like a junk yard than an RV Park. Our site was dirt with a shattered RV window on the site. The site was extremely narrow. Couldn't even let out the awning. It did have full hookups but that's all. 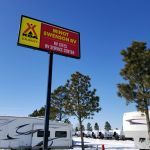 We camped at Minot / Swenson RV KOA in a Fifth Wheel. For $35 a night we got to stay on dirt next to a neighbor who was so close we could not put out our awning. Had to park next to 2 huge dump trucks. There was trash/glass everywhere. Most every site was occupied by an oil worker. It was also State Fair week and nothing else was available in Minot. If you can help it, do not go to this campground. 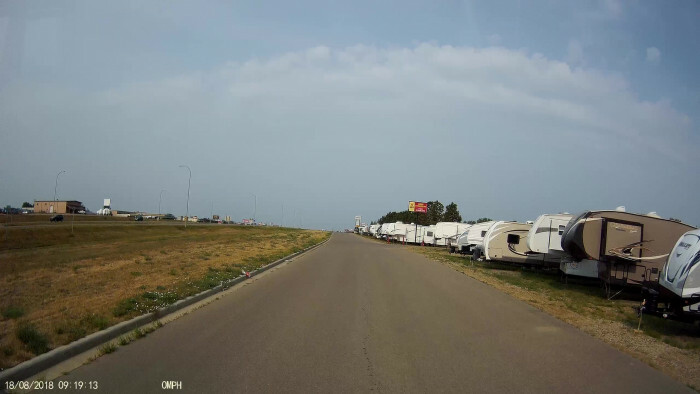 We camped at Minot / Swenson RV KOA in a Travel Trailer. The good: excellent fast Wi-Fi, big rig friendly pull through sites, friendly helpful host, a small recreation room, good water pressure, good power (125 volts, unloaded). 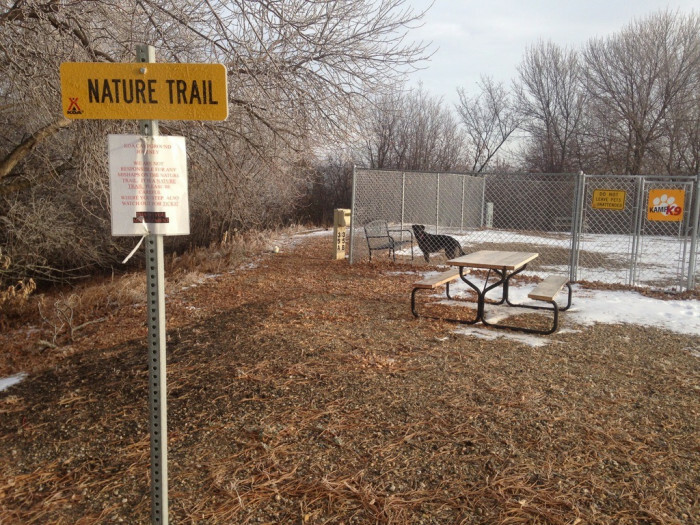 The bad: no tables, no trees, no shade, smell of rotting vegetation (possibly from flooding early this year). There are many long term residents. I would stay again, but it is not a "destination" park. We camped at Minot / Swenson RV KOA in a Motorhome. This is coincidently located off highway 2. The camp host were extremely helpful and efficient! I would not take a large motorcoach in here, as it is dirt and one can get stuck. When it rains it complicates while exiting the campground. Lots of full time campers living here. Full hookups were a plus. We camped at Minot / Swenson RV KOA in a Motorhome. This hostess was so helpful to us. We stayed here a week, then extended for another two weeks while my husband recovered from falling off a ladder. She kindly prorated the monthly rate for us. There are lots of area workers staying here, and the grounds aren't maintained as well as they should be. But it's conveniently located near shopping, restaurants and the doctors' offices. Highway noise wasn't a problem because we were far enough away from it. We occasionally heard cars racing at the fairgrounds on weekends. We camped at Minot / Swenson RV KOA in a Motorhome. 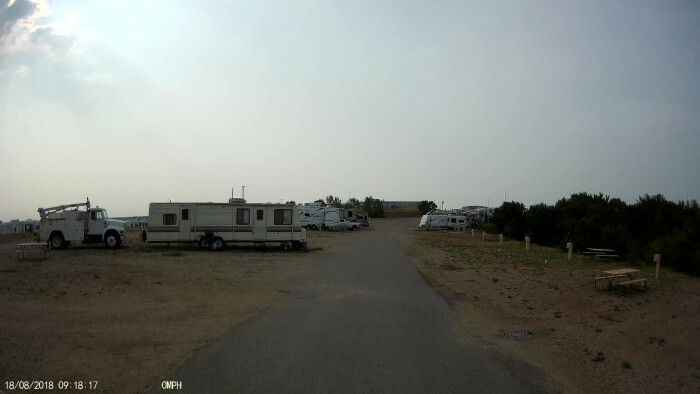 Lots of "resident" RV's, but they do have some sites reserved for overnighters. The place seems OK for a quick stop in transit. Had a good satellite shot. 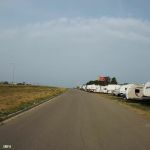 We camped at Minot / Swenson RV KOA in a Fifth Wheel. 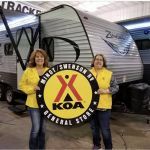 Are you affiliated with Minot / Swenson RV KOA ?